I’ve discovered that it’s even tougher keeping on top of baking and blogging with an infant to care for than it was being a heavily pregnant zombie, even if I do have more energy again (Shhh!). 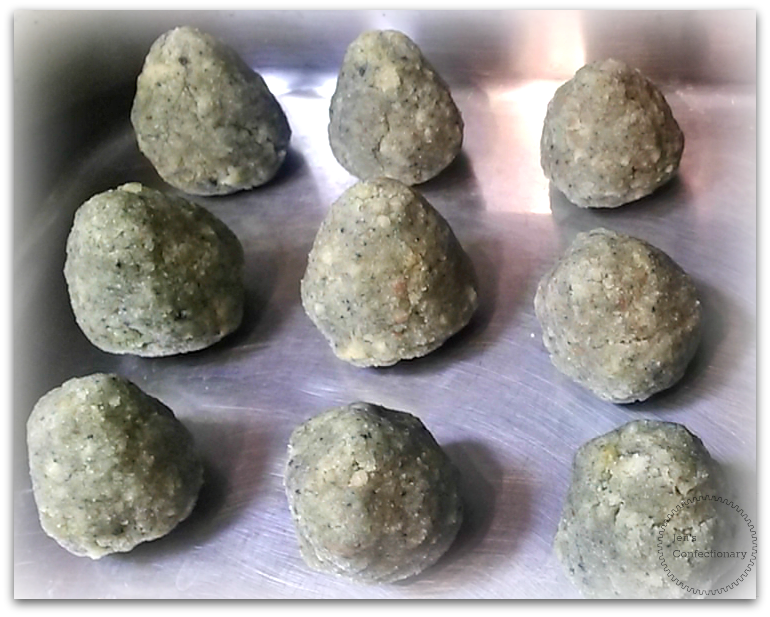 I did eventually get to form the cake balls themselves, but things (or one, adorable thing) kept getting in the way and they wound up in this purgatory, cycling between the counter and the freezer. 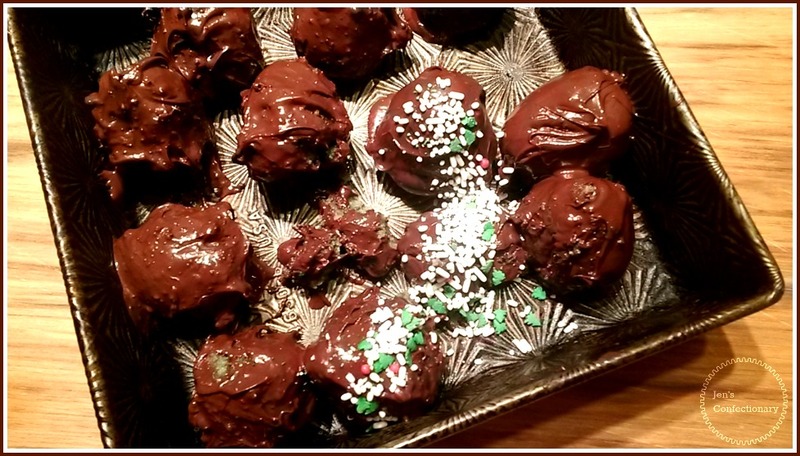 When I was researching before making another run at it I learned a couple of key things: dipping frozen balls in chocolate will end in tears, don’t forget about tempering (chocolate), and lots of other people had the same penguin idea before me. By the time I botched melting my white chocolate (don’t ask), I realized I had to throw in the towel. Still, I did have a dozen probably tasty cake balls on hand. Also, I was sitting on a bunch of semi-sweet chocolate chips I’d been itching to use up, since I discovered they are not preferred by anyone in my house. I decided to just dip them and move on with my life. Screw it. I figured It would be practice. I still think I need to learn more about – or just try harder with – tempering chocolate, but I sampled a couple when they had mostly set up and they were pretty yummy. Not what I was going for, but not awful, in the end. I feel like my balls were too lumpy and my chocolate too viscous, but those are issues for another day. This entry was posted in Cake, Learning, Other Desserts and tagged Cake balls, cake pops, Chocolate coating, Failure. Bookmark the permalink.